After the digital game conference DIGRA: Defragging Game Studies, I had the opportunity to visit Dragon*Con in Atlanta – the largest fan convention on the East Coast. I’ll share some personal views and experiences on my blog.Though I’ve traveled to Japan and The States before to attend fan conventions or comic markets, I got to say, this one was really worthwhile. While I expected huge crowds, most of the days I could navigate through the hotels fairly well or pick smaller events when needed. Dragon*Con is often described as the “non-mainstream Comic Con” and that rings true: almost 40 fan tracks are held in 5 hotels and many events are fan driven. That means less teasers and trailers from the industry, but more personal communication and humble events with some spoilers that actors are allowed to give you. Many of the panels are informative lectures – the focus is much less on workshops than in, for instance, The Netherlands. Though the con is often promoted as a sci-fi and fantasy event, anime has a good presence and so do other Asian and British fandoms. Great attention is paid to arts and crafts: full programs with panels on puppeteering and costuming, comedy & acting, screenwriting, novel writing and filming. Music also has a great presence. 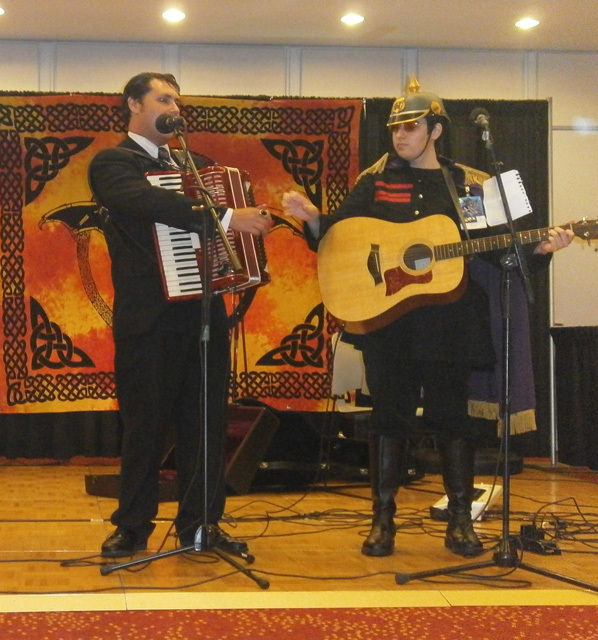 The convention is multi-fandom – there’s even panels on Saturday morning cartoons and the logic of Discworld. It’s all the stuff you love at one place! 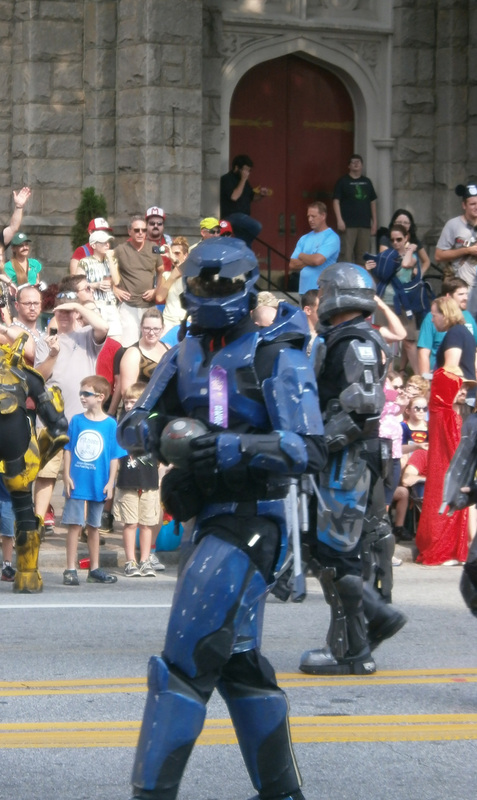 A highlight of Dragon*Con is the parade, which was particularly fabulous this year. 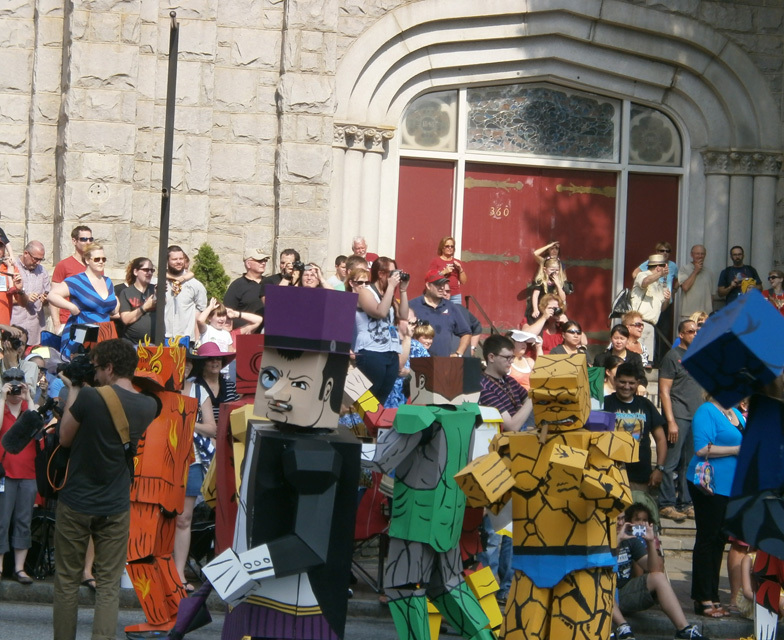 Huge costume groups, pimped cars, funny signs – it’s all there and the entire city comes to watch it. It’s difficult to find a good spot but camping out early helps. On top of that, the festival is absolutely family friendly. 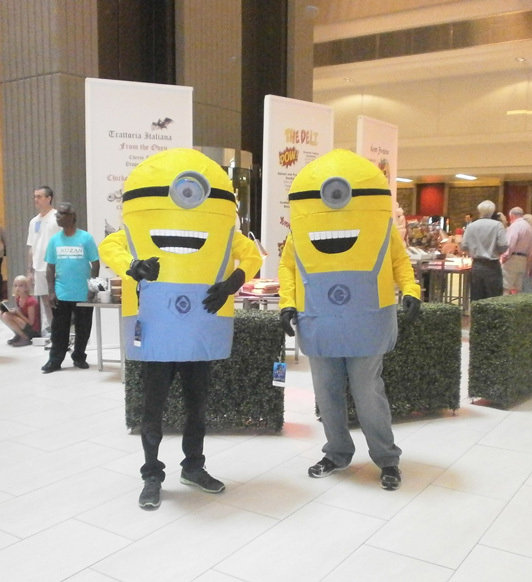 Dragon*Con is fun for all – young children and babies, elderly women and men, they’re all present in great numbers celebrating their love for fiction, dress up and hopping from event to event. It’s one big party for many of them and while I didn’t meet many other Europeans, I did come across the lovely CPU, a photographer from the UK, and several other English guests. I’ll add my diary just to give a small impression! I start Friday with the Dragon*Con late show that introduces this year’s con. Three lovely hosts, among which one dressed up as Mr. White and the other as Korra, introduce the schedule and give some tips and tricks. They’re hilarious. What becomes clear right away is that Dragon*Con keeps no one waiting or bored. Before the events in the big ball room, the big screens sport Dragon*Con TV with lots of fan films made specifically for Dragon*Con. They are quite witty and my favorites, right away, are Bob and Carl the Sci-Fi Janitors, two puppets who joke for a minute while cleaning the floors. I attend the True Blood panel (see pic below) with two elderly women sitting next to me, commenting on the ins and outs of the show. Rutina (Tara) especially impresses me. While I warmed up for her character rather late (somewhere around the point where she became bisexual), the actress is the sweetest woman ever. Hyott’s actor is also striking and seems to have some problems dealing with the fact that Hyott “went to Alaska”. Next up is the Battlestar panel which has a huge line outside the building. I’m happy that I still can get in and see Edward James Olmos and the others. EJO muses a bit about Mary during the panel, which is delightful. “I visit her regularly, often every week,” he says, “but I never see any of the other cast members there!” At some point he also says that if Mary wasn’t married, they’d probably would have been by now, which was adorable. (Be still my shipping heart!) Dualla’s actress reveals some less positive bits about BSG’s production process, when she tells us that she was told her character would die by her make-up artist, who knew before she did. RD More called her the week afterwards. That must have blown. Everyone basically tells us that BSG, though it could have been grande, was made up while the writers went along, but most of us knew that anyway. It’s a bit sad though. The DS9 panel on Friday was also good in which the actors of Jake and Sisko tell us how much they learned from each other and care about one another. Very beautiful! The actress of Dax seemed less open to transgender interpretations of her character, which underwelmed me a bit. On Saturday and Sunday I attend some other actor panels, amongst which a panel of the Whedonverse (Monday), two of Once Upon a Time with nice spoilers. Jane Espenson told us, particularly, that Ursula would pop up in the next season so there you go; she also dropped some hints on Henry and that we should think about what he is. All of the panels were great and I highly recommend watching the on stream! Aside from television panels, I attend some readings of authors such as Lev Grossman (one of my literary heroes) and Laurel K. Hamilton. Many of them offer interesting writing tips and speak vividly about their novels, which is great. Lev reads the opening of his new Magicians book and it’s enticing. Magical crows in bookstores, that sort of thing. He’s very charming in real life. When I go to his signing, it turns out that he hasn’t brought any books, but a guy in front of me makes a bet with me that if his leg gets signed, he’ll gives me his copy. Lev doesn’t mind signing his leg, so I get his book (this guy was the sweetest ever!) and Lev signs it. Some of the highlights are the smaller panels by screenwriters and professionals. The writer of Husband does a panel with a British actor and the female lead of Zach and Miki which turns out to be very clever. He has great tips on how to get in contact with actors for indie-projects, on acting itself, etc. Great stuff. A panel with several stand-up comedians also impresses me and really draws in the entire audience with short tips on jokes and the interpretation of them. The convention is also rife with voice-acting panels. Though I don’t manage to get in the one of Futurama, I end up in a full room on Monday morning to see the one on Pinkie and The Brain. The two guys that voiced them are hilarious and do several skits. The audience sings along with the theme song with which they open. The room is at least six times as full as the Whedonpanel. The fan panels are great too. I attend quite some in the anime track and sneak in for others. Fans really invest time in educating each other and learning from one another. What’s less visible is actually making stuff. There’s no rooms to draw, papercraft, read manga, or do all those other things that we love in The Netherlands. Some booths in the artist alley sport fan art but many original works as well. Quite some of the artists are professionals in the industry – even Ducktales’ creator Don Rosa is present. The art show right next to it impresses me even more. Many artists sell prints there or have submitted stuff – some of which are to be auctioned off for charity, I believe. There are some splendid works there and very pretty crafted things. However, the more commercial arts and crafts are sold at the dealerroom. What I love about Dragon*Con is its huge walk of fame. 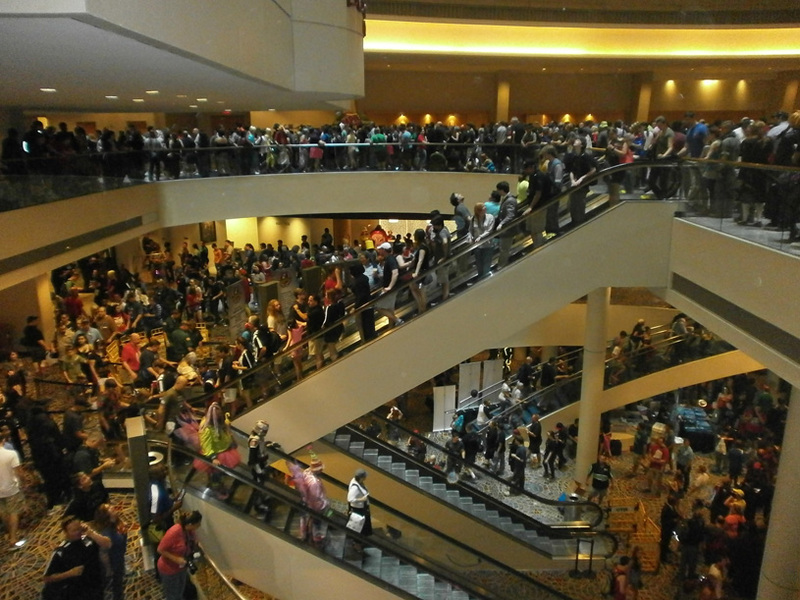 Many actors provide autographs for roughly 30-40 dollars and the line ups are not long, because the room has similar opening hours as the dealerroom and artist alley. Though I’m not a collector, I get some things for my friends and feel happy about how approachable the actors are and what great names are present. 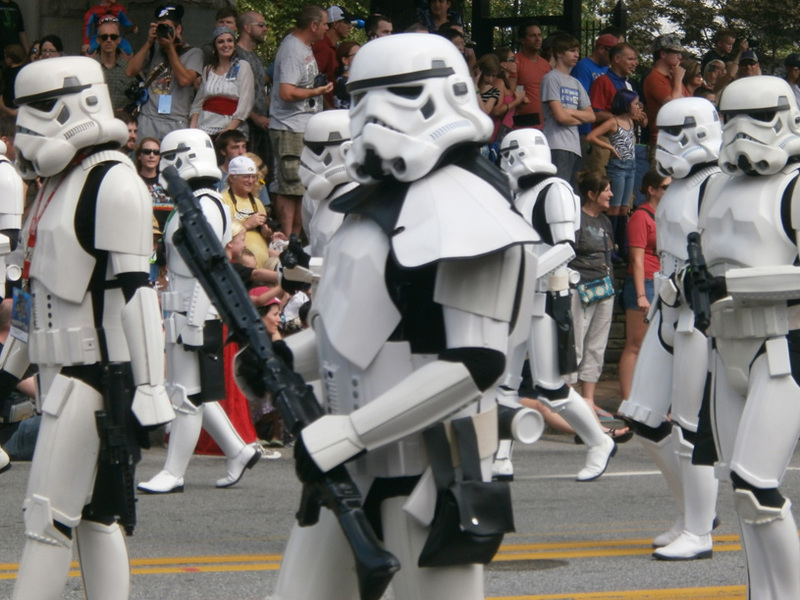 I shouldn’t forget about a couple of other nice things about Dragon*Con. There’s an ongoing concourse with folklorist fan bands and singer-song writers and an additional filking track. Bands are spread across Dragon*Con and fan music has a great presence. I especially enjoy a concert by The Gekkos, dressed up as Superjail characters, who sing about Pokémon zombies and Sephiroth’s hair. An ongoing Doctor Who marathon (24/7) and smaller video rooms have a nice presence at the Hyatt while games are played contineously in The Hilton. 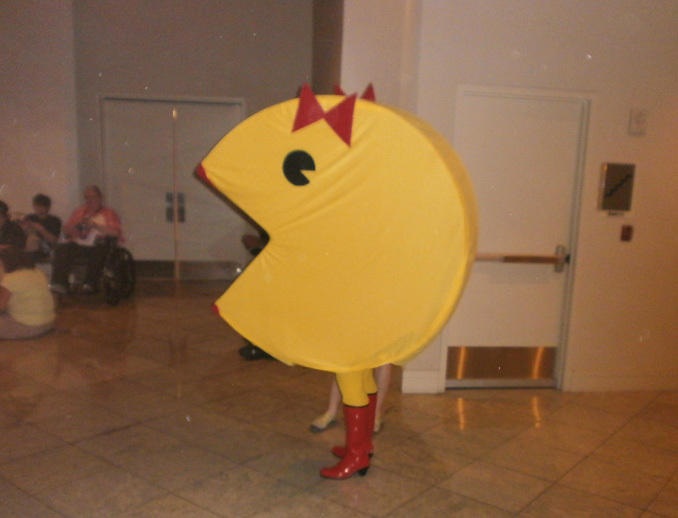 Overall, Dragon*Con is diverse and charming and I have not even mentioned everything. If you have specific interests, check their schedule. I can highly, highly recommend it! – Download the app and/or make a personal schedule. There’s so much to choose! – If budget allows it, try to get in one of the convention hotels for the full experience. Dragon*Con is four days and massive, it drains you. You want your hotel room nearby. Nice write-up! So nice to combine work and pleasure sometimes. A friend of mine went to Atlanta for a BCI (brain computer interaction) convention, but she didn’t manage to see a lot outside of the convention floor.